Chonburi officials were told to do more to improve road safety following a horrific minivan-truck collision that killed 25 people in Ban Bung District. Transport Minister Arkhom Termpittayapaisith spoke with Chonburi Gov. 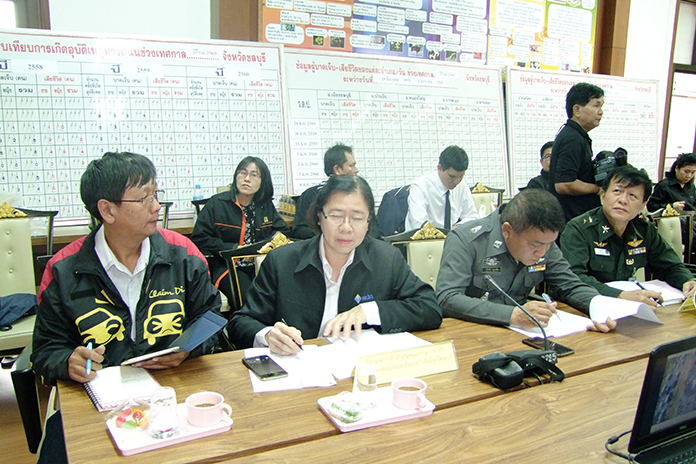 Pakarathorn Thienchai and other top officials via video conference Jan. 3, a day after the fatal crash on Route 344. The video conference, also participated in by governors of other provinces, was for local authorities to provide an update on traffic statistics during the “seven dangerous days” of the New Year’s holiday. Arkhom told all governors to increase the number of personnel working on accident prevention and investigate any crashes that occurred. This way they can come up with countermeasures and safety enhancements, and ensure all areas are covered thoroughly. Krisada Boonraj, permanent secretary for the Interior Secretary, said all provinces should come up with concrete plans, enhanced safety measures, more checkpoints and support centers to reduce road accidents.